Located 20 minutes from Gore Mountain Ski Center, an hour south of Lake Placid, and close to Exit 25 of Interstate 87 (the Northway), the quaint town of Chestertown, founded in 1799, is home to 3,614 people, which makes it something of a mountain metropolis. With charming vintage homes, a famous bed & breakfast (The Friends Lake Inn), a supermarket and a number of small shops, an ice cream parlor, Chestertown is also home to North Warren Central School (grades pre-kindergarten - 12) with a total student population of less than 650. 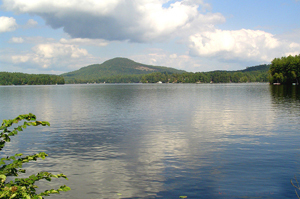 Residents can enjoy swimming at Loon Lake beach or drive a mile or so further to the beach at Brant Lake. Loon and Brant Lakes offer smooth waters for skiing and tubing as well as good fishing for small and large bass, pike, sunfish and perch.